JEFFREY L. HAINES, CG, is the owner and principal investigator of Haines Research Services. He has worked on his own family history since the late 1970s and has almost twenty years of professional experience. His ancestors lived in U.S. states from Pennsylvania to Florida and various islands in the West Indies. Most ultimately came from England, Scotland, and France. They came from all walks of life, including a few pirates of the Caribbean! Mr. Haines has been a board-certified genealogist since 1996. His educational background includes a degree from Duke University and successful completion of courses offered by the National Genealogical Society and the Institute of Genealogy and Historical Research at Samford University. He has attended numerous national genealogical conferences and workshops, both in this country and abroad. Jeff wrote the North Carolina volume of the National Genealogical Society's Research in the States series. His articles have been featured in the National Genealogical Society Quarterly, the NGS Magazine, the Association of Professional Genealogists Quarterly, OnBoard (published by the Board for Certification of Genealogists), and the North Carolina Genealogical Society Journal. He has spoken at conferences and workshops hosted by the National Genealogical Society, the Federation of Genealogical Societies, the Association of Professional Genealogists, and a number of state and local societies. 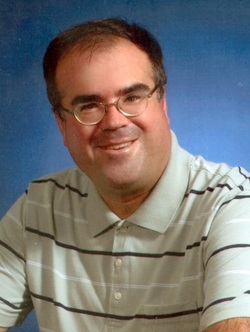 He served as Editor of the North Carolina Genealogical Society Journal from 2006 to 2011. Mr. Haines's leadership positions have included a two-year term as president of the Association of Professional Genealogists (APG), the field's international trade association. He currently serves as president of the North Carolina Chapter. He has also worked on many committees for APG, the Board for Certification of Genealogists, the Genealogical Speakers Guild, and the North Carolina Genealogical Society.